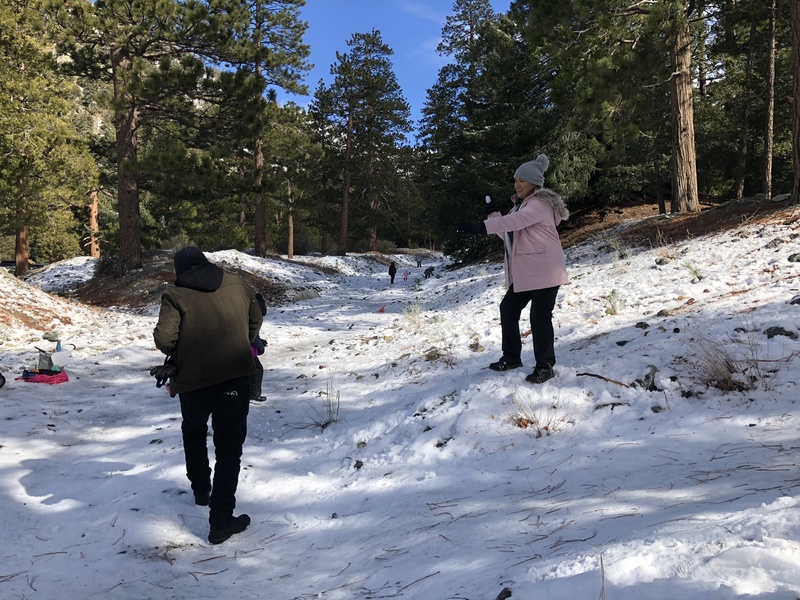 Yes, you can experience snow in L.A! Sorta! It’s really close by, I promise! 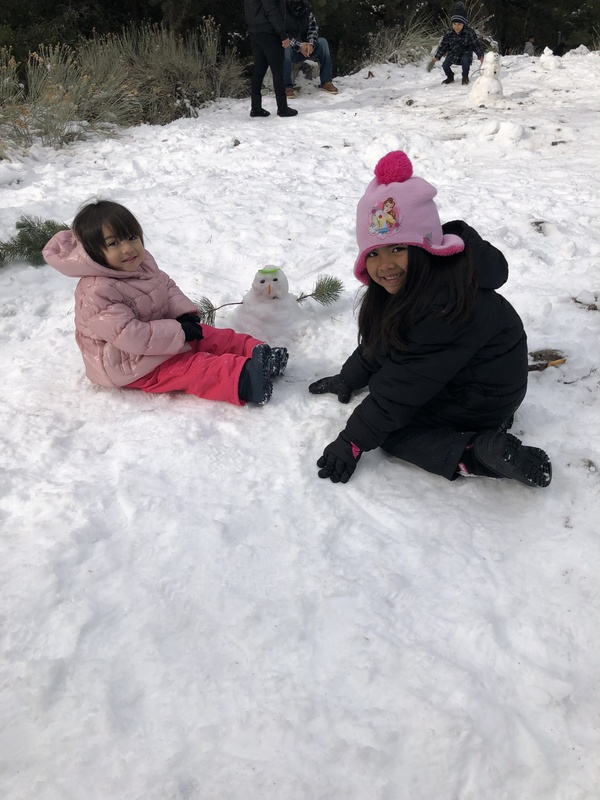 This Winter’s bucket list included playing in the snow and this weekend we were able to cross that off our adventure list. 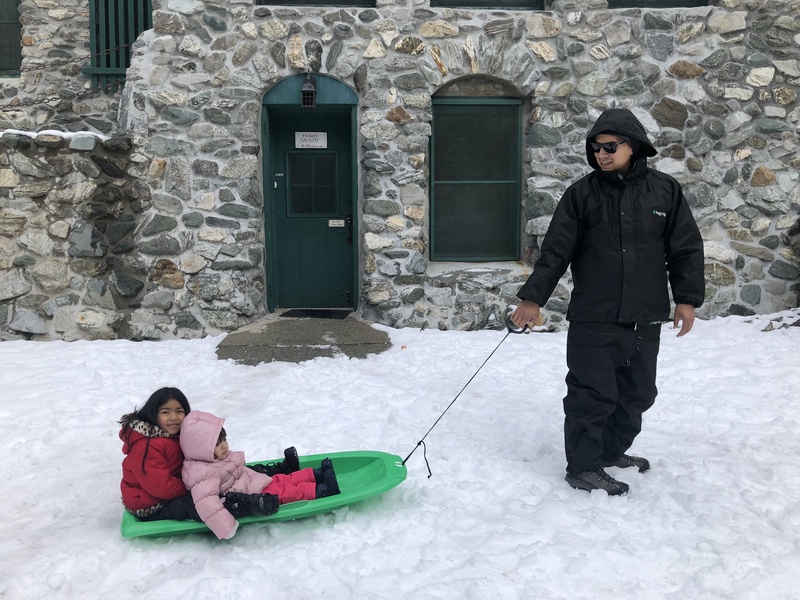 If you are like me and don’t enjoy long-car rides, or like my kids who get car sick, but you want to play the snow, then Mt. 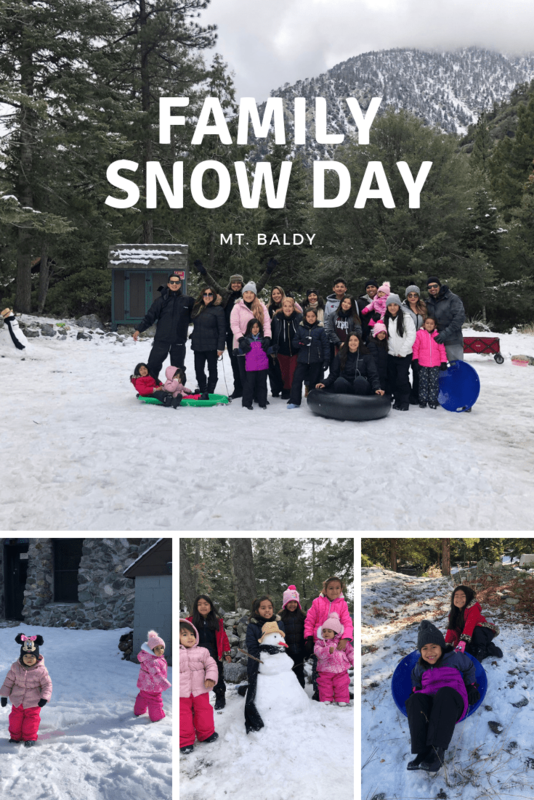 Baldy is the place to go! It’s only 45 miles east of Los Angeles. 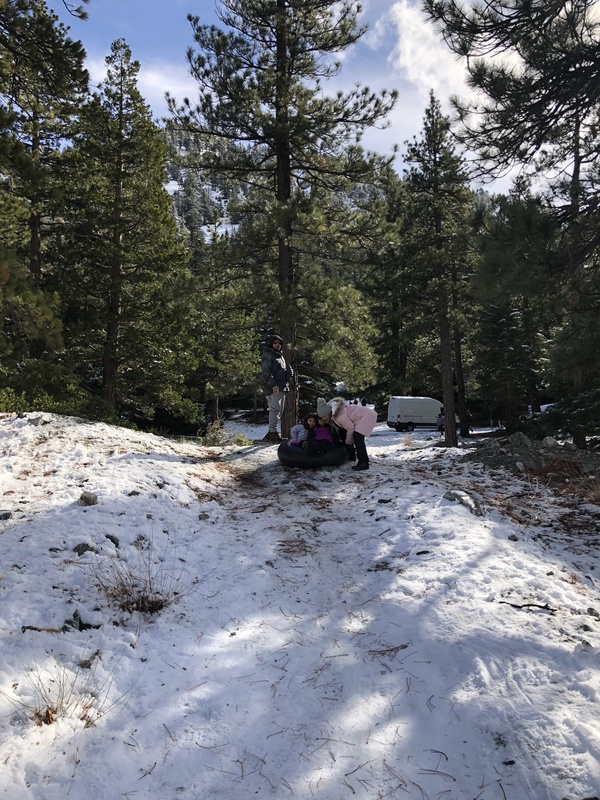 Being that is was our first time, we didn’t know what to expect but it was a great surprise to have been able to reach snow just about 8 miles from the bottom of the mountain. I was concerned about lots of steep turns but it wasn’t all that bad. We reached our destination around 10:30 AM just about 45 minutes on the road from Monterey Park. 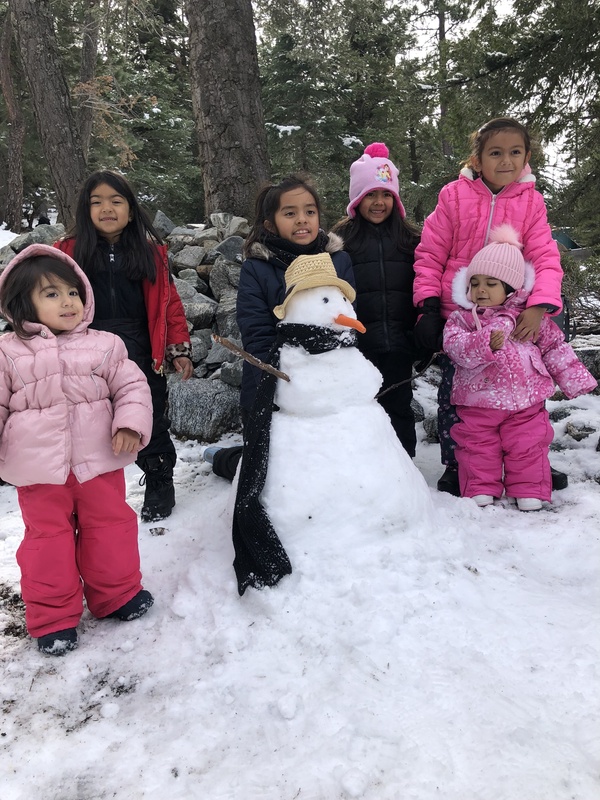 We had four cars full of close family members excited to get the day started so we pulled over at the first sign of snow. It was great because, it had just rained the day before, so it was easy to find plenty of spots for the kids to play in. 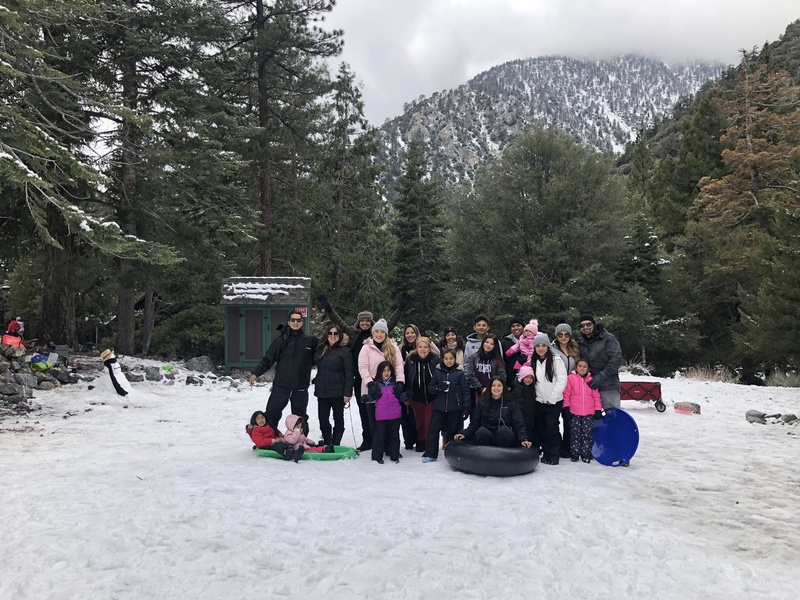 A few of us took disk sleds and one inner tube plus our own lunches and snacks, so it made it for a stress-free family day! I must say that this was one of the easiest day trips that I’ve been part of! 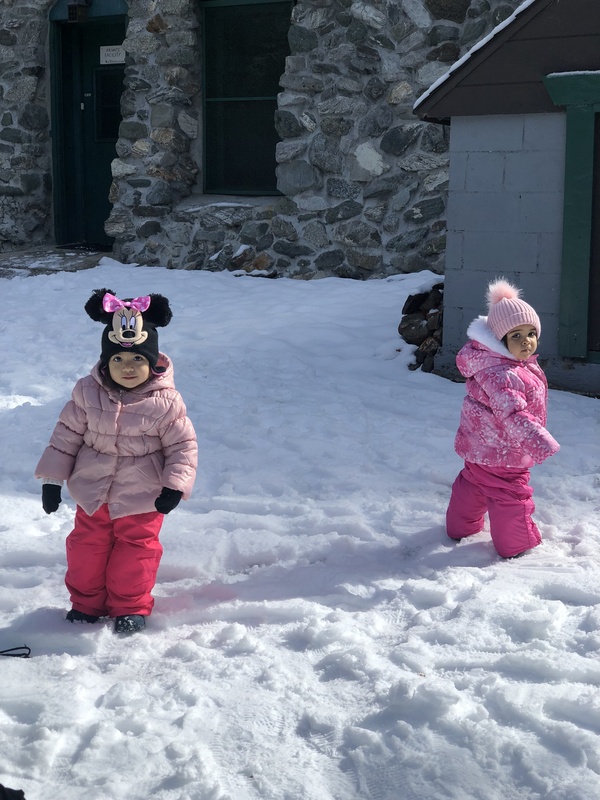 The kids had a blast and even though it was about 35 degrees out, we all had fun. We wore 2-3 layers of clothes and although we felt a bit “overdressed” at first, I’m glad that we were prepared! The temperatures started dropping around 2PM, so that’s when we decided to call it a day. We decided to drive about one more mile up to get a glimpse of what we missed out and discovered that they had restrooms and picnic tables nearby. However, that area seemed a bit more rocky to me. Perhaps, next time, (we are already planning on going back!) we’ll attempt to get there half an hour earlier to explore other parts of the mountain. There’s also restaurants, shops, scenic lift rides, skiing, snowboarding and a tubing park available once you get to the very top. We parked and had our day of snow near the Hardwood Lodge. You can use the below directions to find the exact spot, my family and I hung at. Driving Directions: From the 210 freeway exit on Baseline Road. Take the first right onto Padua Avenue and turn right at the light to continue up Mt. Baldy Road through Baldy Village. Where the road splits you’ll see a small sign on the right “Harwood”. Find parking and enjoy! Cool! 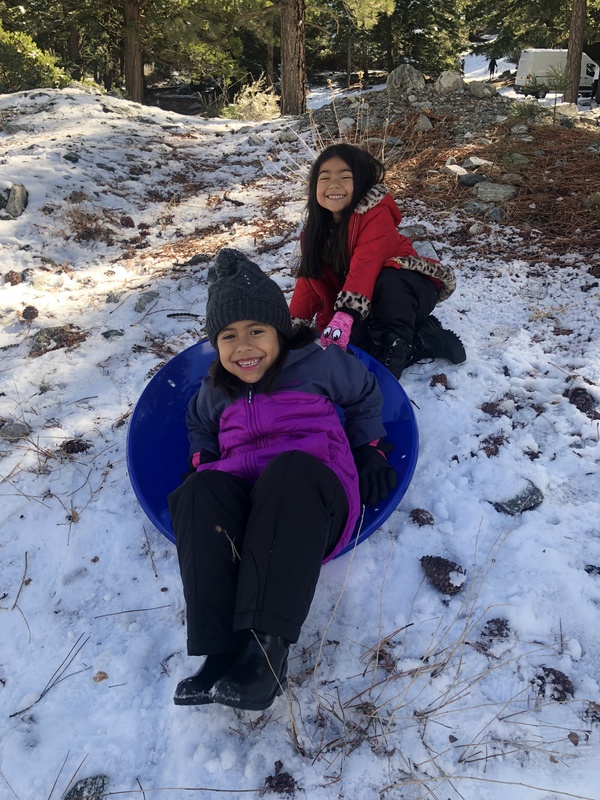 I was wondering about the snow conditions and activities available at Mt Baldy. 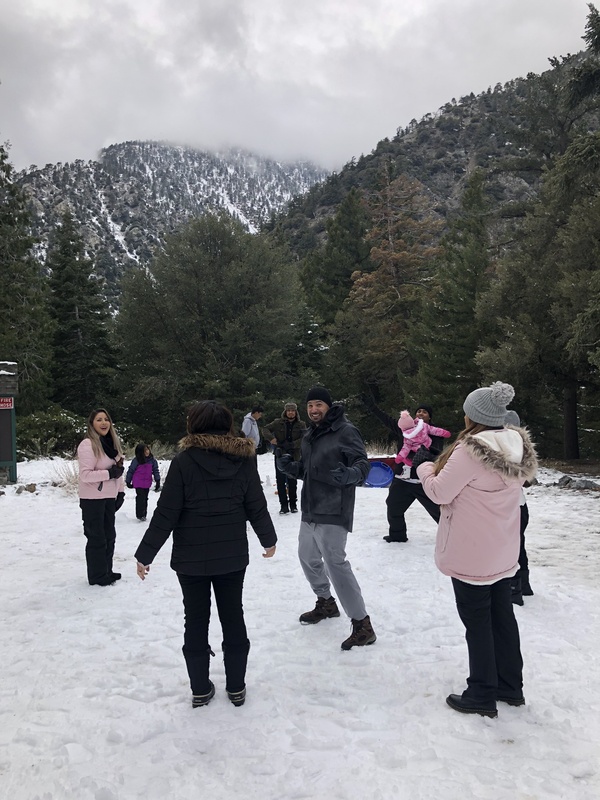 My family and I drove up Angeles Crest Highway on Saturday. 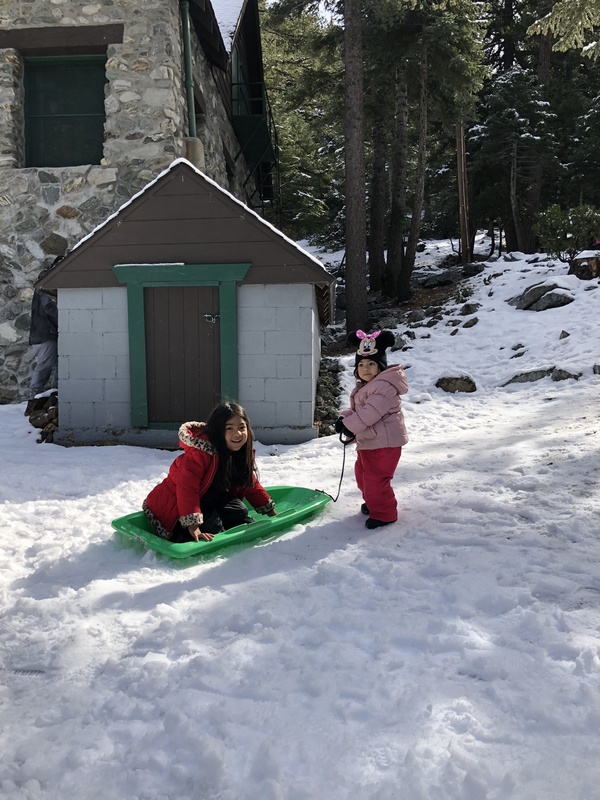 It took us about an hour to reach snow from the base of the mountain in La Canada – which is super convenient for us because we live in Glendale. There weren’t any shops or scenic lift rides though, just one restaurant. Thanks for sharing the tips! You are very welcome! 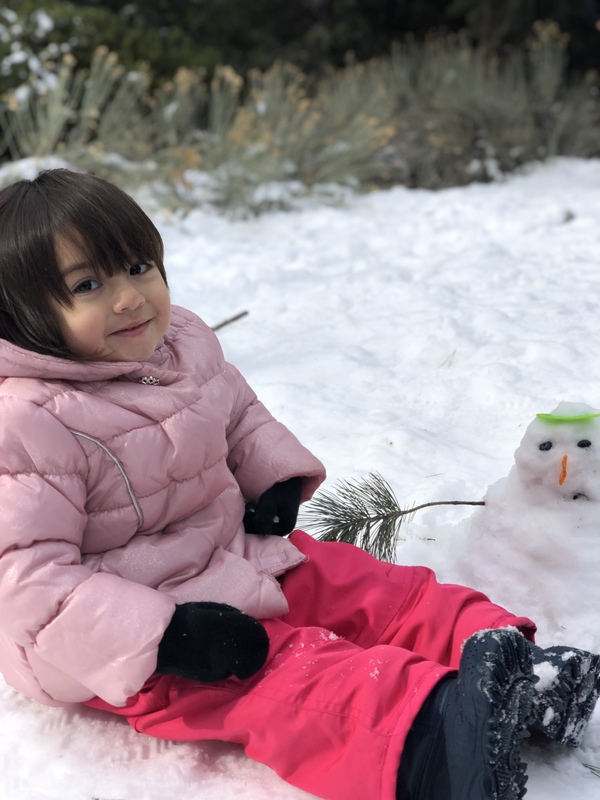 Thanks for sharing your tips too!